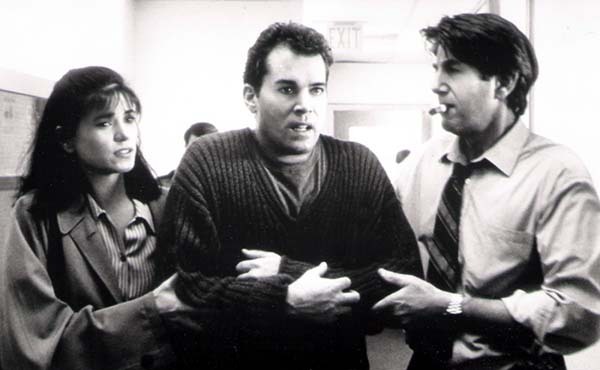 (1996) Medical examiner Dr. David Krane is a brilliant forensic pathologist who has lived under a cloud of suspicion since the cold-blooded murder of his wife, Mary. Accused of the crime, he was released on a technicality... but he was never exonerated. Mary was the one person who could have cleared him, but her memories died with her. When he meets Dr. Martha Briggs, a pioneering neurobiologist who has been experimenting with memory transfer, Krane sees his last chance at redemption. Briggs has discovered that profound memories are stored in cerebral spine fluid, and has developed a formula that can actually retrieve these events. If it works, Krane may have found the way to identify Mary's murderer. Driven by desperation, Krane steals the untested and potentially lethal formula and injects himself with Mary's memories. Suddenly, he is wrenched to the moment of her terrifying and brutal slaying, experiencing her fear, her pain and her horror... but he can't see her attacker. 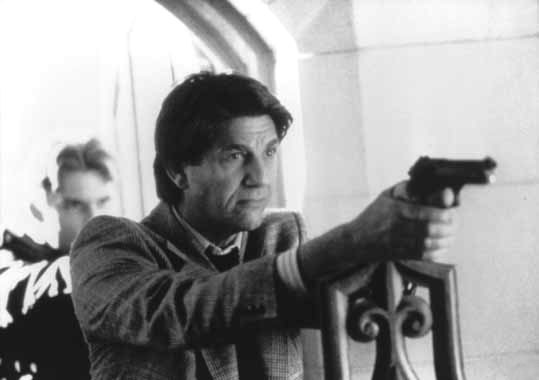 "Respected film actor Peter Coyote was Dahl's first choice for the role of Detective Don Bresler, a ruthless copy with a penchant for gratuitous brutality. The director knew he would bring intelligence as well as an unnerving ambiguity to a part that might come off as merely vicious in another actor's hands." 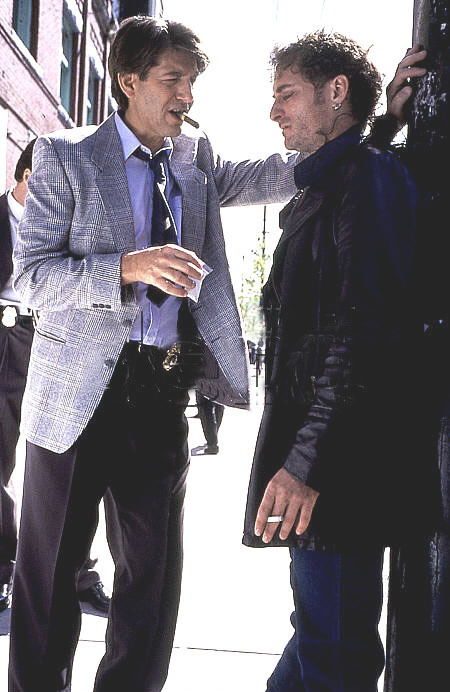 "Liotta and Fiorentino are fine here running around chasing killers, but it's Coyote, as Krane's detective boss, who really puts something memorable into the film. 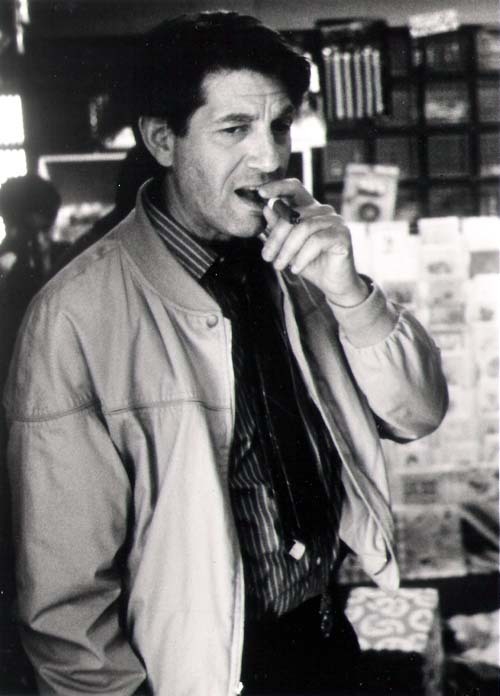 Coyote remains one of the most criminally overlooked American actors of our time." "Tapping into some kind of virtual reality gambit seen in Strange Days , Unforgettable deals with one person's ability to borrow experiences of others. 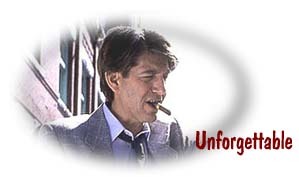 In this case, it's best if the others are dead... Mr. Dahl's imagination is in fine form... Unforgettable shares the cool look and the fine, sinister lighting effects of his earlier work, and it unfolds in tough, intense style." 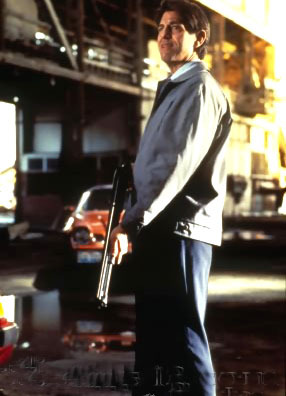 "Liotta, who exudes danger as well as intelligence, is ideally cast as a man desperate to clear his name..."The supporting cast is top-drawer (as are all the film's technical credits): David Paymer as Liotta's sympathetic colleague, Peter Coyote and Christopher McDonald as very different cops, and Kim Cattrall as Liotta's embittered sister-in-law." "Coyote shines as Liotta's police department friend who appears to have an agenda all his own. 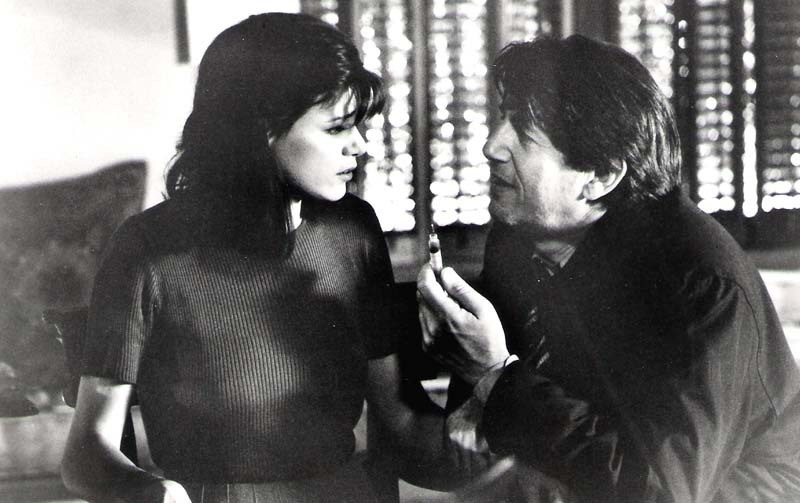 And Fiorentino shows she can convincingly play more than femme fatales." "Imagine the Sam Shepard murder case with a sci-fi slant and you'll get a rough idea where Bill Geddie's script begins - but that doesn't take into account the red herrings, false leads and other twists that form Unforgettable's many pleasant surprises in its second hour... 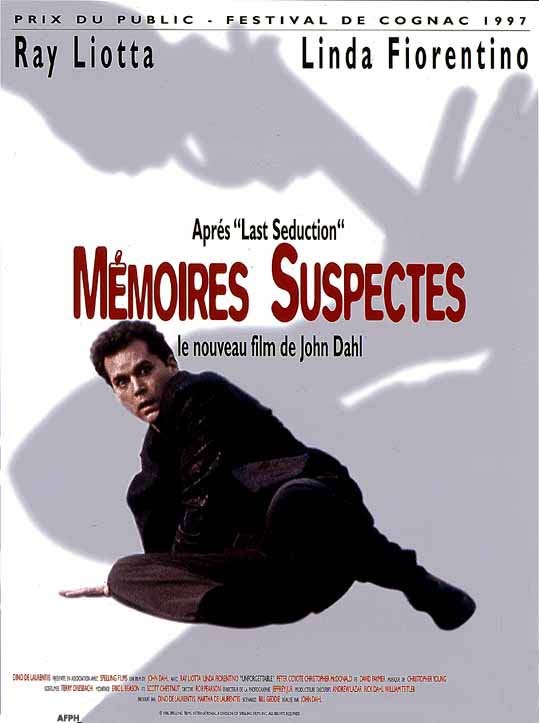 Flanked by strong supporting work from Christopher McDonald, Peter Coyote and Kim Coates' suspected murderer, Dahl's Unforgettable is a nifty, compact thriller from an underrated auteur." 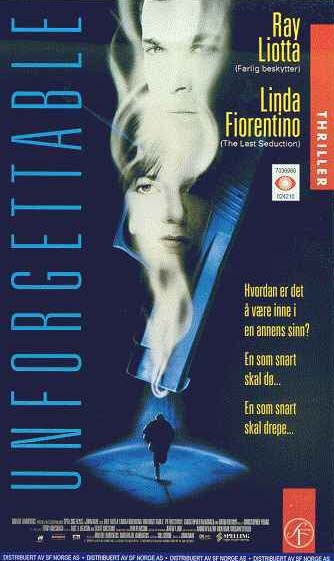 " Unforgettable is a head-trip movie, sort of a mystery-solving Brainstorm fused with The Fugitive and Dahl plays the point-of-view shifts for maximum stun-gun effect, as disturbing memories and images explode like flashbulbs to jolt Krane and the audience. The director, having shown a sure hand for noir in his past work, provides the appropriate air of moody foreboding." "Dahl puts us back in the nightmare domain of the '40s noir hero whose problems are fed by a suction pump from his bilged soul... Liotta is a sturdy, engaging hero, and Fiorentino, a devil-vamp in The Last Seduction, is now more recognizably human... Peter Coyote and Christopher McDonald, astonishingly cheap-jerk, are rancid cops in the high "low" tradition of Barton MacLane, Eugene Meyer, Robert Ryan and Ed Begley. "There's a nice noir-ish tone to the beleaguered-man-under-pressure stuff. Dahl avoids visual cliche in the memory-transfer sequences, and Vancouver, doubling as Seattle, looks interestingly gritty." 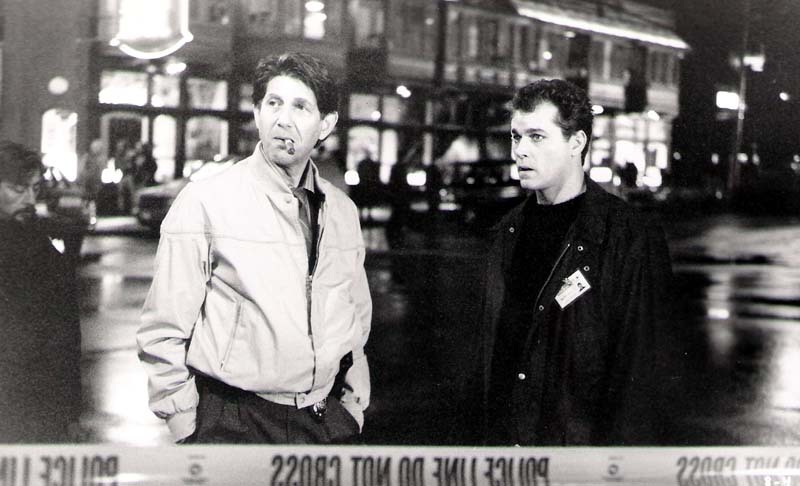 "Fiorentino and Liotta make a formidable team, with able assistance from gruff Peter Coyote as a tough-but-fair senior cop, David Paymer as Liotta's skittish assistant and Christopher McDonald as an antagonistic lawman. Dahl directs with an assurance powerful enough to keep the outlandish premise from veering into the outer limits, and his staging of the induced flashbacks seems fittingly dreamlike." "Dahl's noir films owe so much to the genre that it is hard to get a grasp on his individual style. 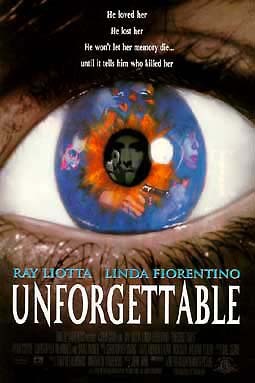 But in Unforgettable, he emerges as a master of inciting fear and dread... For a good 45 minutes of its two-hour running time, Unforgettable has the viewer in a state of oppressive tension. The rest of the time you're just nervous." "...Christopher Young's music which heightens the drama without overpowering it, recalling occasionally Bernard Herrmann's great scores for such Alfred Hitchcock masterpieces as Vertigo ." "Bresler is a guy who walks through hell and has the morality of hell. Yet he's asked to do a job for people who live in heaven, and that brings all sorts of contradictions with it." 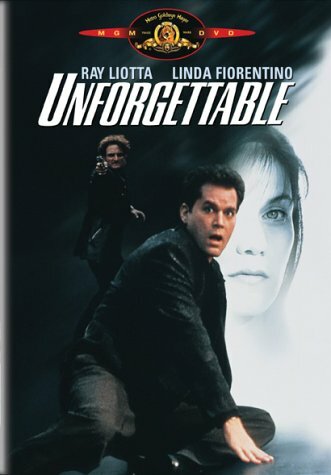 Unforgettable was filmed primarily in Vancouver. The city allowed the company the use of Riverview, a partially shut-down psychiatric hospital. The institution proved ideal to bring added realism to several of the film's sets. The coroner's office, autopsy room, evidence storage locker, Martha Briggs' lab and the nightmarish basement of Eddie Dutton's childhood were all filmed in the atmospheric building. The story came to screenwriter (and producer of Barbara Walters Specials) Bill Geddie after watching an interview with a neurologist on The Today Show. In the theater release, when the film ended and the credits came up, they played Nat King Cole's "Unforgettable" but in the video release, they omitted. it. Actress Stellina Rusich,who plays Mary Krane, was also in the TV movie Murder in my Mind with Coyote. Again, she played a victim whose memories needed to be captured from her cerebral spinal fluid so that her attacker would be identified. Shown at the Berlin Film Festival (Panorama) February 16, 1996.